Family My husband Mike and I live in the Arrowhead Ranch area of LD22. We have 4 grown children who have all settled in the valley to raise their families. Work history I retired from American Express after 37 years working with small businesses, mid-sized companies and large corporations helping them successfully manage their corporate card programs and budgets. Then I joined the Deer Valley Unified School district as a classified employee. During 37 years at American Express I was successful in many roles in customer service, project management and analyst positions where I helped guide development and expansion of global technology, development and deployment of new financial products, and management of insurance and vendor risk and compliance. Working within complex and diverse teams, I learned the importance of listening to understand, of thinking critically and creatively to find solutions to complex problems and the value of creating strong relationships with all business partners, especially those I don't always agree with. These are skills we need today in our legislature. I understand the power of a strong public education system in attracting and retaining high paying jobs and the opportunity solar power and renewable energy can play in the future of Arizona's economy. I am committed to work for the people in my district not lobbyists and special interests. I fully support competitive pay for Arizona's education professionals. I believe that we can secure dedicated, sustainable funding that is not based on wishful thinking and rosy projections. We need legislators with the will to prioritize public education and make a serious effort to properly fund it. We need to realistically look at our revenue. Arizona is losing $13 billion in state revenue to corporate tax breaks and sales tax exemptions. We need to look at all of these and repeal those that do not directly benefit the people of Arizona. The recovered revenue can be invested in public education and restoring crumbling infrastructure around the state. Investment in solar and renewable energy will create good-paying jobs in our state and protect our environment. No. All schools getting public money need to be held to the same rigid standards of financial and academic accountability. This money is our taxes intended to benefit the public and every penny needs to be spent ethically and accurately accounted for. I support gun safety reforms that are consistent with the 2nd Amendment. The majority of NRA members support expanded background checks and keeping guns from those who are a danger to themselves or others. We need to be able to set aside emotion and seriously address gun violence. I want to see data driven solutions to gun violence in our state and nation. We need to invest in training our teachers to recognize students who may be struggling with a mental health issue or are in crisis. We need smaller class sizes so teachers have the one on one time with students to be able to see an issue. We need to invest in more counselors who can work with students and their families to find resources to address an issue before it becomes a crisis or a tragedy. Mass shootings are a national tragedy but teen suicide is one that happens right here in Arizona. We need to work harder to fix this. I believe corporate tax cuts have created a tax system that is unfairly stacked against working families in this state. Our legislature is cutting corporate taxes while they are adding sales taxes and fees to public services. This disproportionately impacts the poor and middle-class. We need to overhaul our state tax system so it is fair for all. Recreational marijuana should be legalized. It should be regulated and taxed similarly to cigarettes and alcohol. The revenue should be used to help fund education and in public health programs fighting the opioid addiction epidemic in our state. No. The US Supreme Court established a woman's right to a legal safe abortion years ago and has upheld that in the face of numerous challenges. In attempting to undermine that our legislature is denying citizens in this state, not only access to that right, but access to health and education services that would prevent the unwanted pregnancies that result in a person choosing an abortion. The legislature should be proactively working with water experts (not lobbyists) to create a plan that will protect our water resources for the next 100 years. We need to focus on the whole state, not just the metropolitan areas. We need to build conservation into every aspect of that plan to ensure that we account for our population continuing to grow. We need better control of foreign owned factory farms draining our aquifers and leaving our surrounding communities without adequate supplies of water. Our legislature has avoided this issue too long. We have hard choices to make and it's time to make them. Yes. Discrimination in any way, for any reason is unacceptable. No. Discrimination in any way, for any reason is unacceptable. Investing in public education is the best action the legislature can take to encourage sustainable growth in this state. Employers in high paying industries need a well educated workforce to succeed in the increasingly competitive markets of the current economy. No. The current program is sufficient for the students it was intended to help. Investment in public education is the most cost efficient way to ensure Arizona provides it's businesses with a strong, educated work force. I do not support Proposition 305 and will vote NO. Arizona can protect our border without jeopardizing our lucrative trading partnership with Mexico. We need to focus on where data tells us our resources are needed and not where it will waste taxpayer money for little benefit. No. We need legislators who consistently exhibit the highest ethical standards. Up until recently I would have said Charter School accountability and the fact that Charter School owners and operators are pocketing millions in tax payer money and our legislature is letting it happen by not enacting laws to prevent the practices that allow this. I hope that the recent spotlight on this issue will move the legislature to outlaw these practices. The greatest threat to the future of Arizona is the prevalence of dirty money in our states government and the corruption it brings. It is drowning out the voice of the people and creating a class of elected officials that only represent special interests and lobbyists. We need new elected leaders in this state who will legislate campaign finance transparency and restore confidence in the leadership of this state. Yes. We need to always put the people of our state first. These events are family tragedies that can create a significant hardship for families trying to do what is right for our most vulnerable children. When there is a need these families should get the help that is afforded to a stranger who would be taking in these children. Family Married to Dr. John Sarmiento and mother of two boys, Luke and Leo. Previous public office First time candidate. I’m a first-time candidate who clearly sees that we need to get our house in order in Arizona. I’m not a politician. I’m a mom and a business owner who understands that each child should receive a good education and access to quality affordable healthcare--regardless of their zip code. I watched my aunt and uncle lose everything they had worked all their lives for, as my uncle battled Alzheimer's Disease. After declaring bankruptcy, my aunt was forced to divorce him so he could qualify for state assistance with nursing home costs. As a married couple, he did not qualify for the care he desperately needed. This is not the Arizona I want my two boys, Luke and Leo, to inherit. As I look around, I see a vacuum of leadership. I am standing up to fight for those in Arizona whose voices have been ignored by our officials for too long. Most importantly, I am standing up for Luke and Leo, and all of our children who deserve better leaders. The teacher pay-raise plan is a start, but it does not do enough to address the baseline lack of funding for education or the shortage of qualified teachers in Arizona. The proposal does nothing for support staff. Even with the proposal, Arizona is still far below the national average for teacher salary. If we're still in the bottom five in the nation, we haven't finished the job. My dad taught me, "If you're going to do a job, do it right." I would like to improve funding for public schools, in part by closing corporate tax loopholes. In addition, any school accepting public money should adhere to the same transparent procurement process that public schools do. As Arizonans, we get what we pay for in education. Currently, there are more than $12 billion dollars in corporate tax loopholes. By closing these loopholes and collecting only $3 billion dollars, we will be able to lower the state sales tax by 1% while fully funding education. Arizona's children are worth it. I believe that any school that is funded with public money should be as accountable and transparent as public schools. Too many tax dollars are wasted paying for charter schools that do not deliver on their promise to educate Arizona's children. To remedy this, I support legislation to reform charter schools. I believe that all charter schools should accurately report enrollment. In addition, all charter schools should adhere to transparent procurement guidelines. It is not fair for a charter school to operate as a non-profit, and then siphon taxpayer dollars into their own private business. Finally, I believe that there should be oversight and sanctions for charter schools that fail to comply, or for charter schools that "cherry pick" enrollment. Until last month, I was only an onlooker to those affected by gun violence. On June 13th I got a call saying my brother had taken his life. As career law-enforcement officer, he was the picture of a responsible gun owner. What was not apparent were the mental health issues my brother kept hidden from his family. His death was preventable - just like so much of our gun violence in America. I aim to reduce gun violence by treating it as a public health issue. Firearms should be regulated, just as we regulate tobacco or seat belts. I support a repeal of the Dickey amendment, and encourage research into causes of gun violence. I support background checks on all gun purchases, closing the gun show loophole, restricting the sale of automatic weapons, and registering firearms at each point of sale. In addition, I support funding for mental health treatment and prevention. These are not controversial opinions. Don't be misled by people peddling fear. These are common sense solutions. I am a mother of two children, and it frightens me to think that someday my boys may be shot in school. Despite the public outcry, our legislators have taken no action to address the issue. They argue about whether it’s the guns that kill people or the person who pulls the trigger. Either way, we’re looking at dead children. Knowing the rational cause of gun violence does little to comfort grieving parents. What we need is action--now! Instead, so many lawmakers offer their "thoughts and prayers." School shootings highlight that we as adults are failing to keep our kids safe. This year alone, 26 students have been killed in mass shootings in US schools. I believe that Arizona should implement common-sense gun legislation, with a background check and registration for all gun sales, minimum age of 21, and an automatic weapons ban. We need more counselors in public schools to address the mental health needs of students. As your legislator, I will evaluate each proposed tax cut on its own merits, giving precedence to tax cuts that create local jobs and help Arizona's working poor and middle class families. Arizona should follow Federal Law regarding marijuana use. I do support research into the benefits and health risks of marijuana, which will enable lawmakers and healthcare provides to make an educated decision. I will support policies that help Arizonans throughout their lifespan, such as early intervention, educational opportunities, flexible employment schedules for mothers and families, healthcare and affordable childcare. I do not believe additional regulations are needed, when they only serve to restrict access and limit personal choice. Living in a desert, Arizona has worked to diversify water sources to prepare for a drought. With a net population increase of 222 new people moving to Arizona every day, it is imperative that we have sustainable and appropriate water use plans that grow with us into the next century. We should continue to store excess Colorado River water in aquifers, explore alternative sources of water, and educate consumers about ways they can conserve water. Most importantly, Arizona has a unique opportunity to lead the country in water use policy as a central aspect of any new development or redevelopment. I would support a statewide law that bans discrimination against the LGBTQ community in public accommodations. This is a civil rights issue. These are our neighbors, our coworkers, our godparents, our children. As retiring Justice Kennedy said, they deserve their dignity. My mother's childhood home contained a restriction in the deed that made it illegal for anyone of a minority race to live there. Her home was located here in Phoenix. If my husband and our children had been living 50 years ago, we would have been breaking the law by living in our family home. There is no place for discrimination in Arizona, and there should be protections against discrimination based on race, religion, gender, sexual orientation and disability status. Imagine this--it would be wrong for a business owner to deny services to a divorced woman because of their religion. It would be wrong for a business owner to deny an interracial couple goods because of their personal beliefs. And it would be wrong to tell me I cannot live in my own home based on my children and husband’s ethnicity. Religion, as I know it, is about inclusion. It is about welcoming the stranger. It not about shutting the door on our neighbors. As a legislator for LD22, I will work to provide increased economic opportunities in the Northwest Valley. This part of the valley was affected by the great recession. Ninety-percent of the residents of Peoria and Surprise drive out of the community to work each day. I believe there should be more job opportunities for them to work closer to home. They should be able to use their skills and talents in their own communities. To support West Valley workers, I will work to expand STEM industries in the Northwest Valley, and promote expansion of public transportation. In addition, I support the inclusion of technical job-training skills in public education--students should have options to obtain the skills they need in their careers. I believe that Empowerment Scholarship Accounts are not right for Arizona. These ESA's take money out of public funds and put them into the hands of private citizens for private and religious education. This practice further perpetuates economic inequality, as ESA's are a tuition discount for wealthier citizens, but remain underutilized by students in poverty. 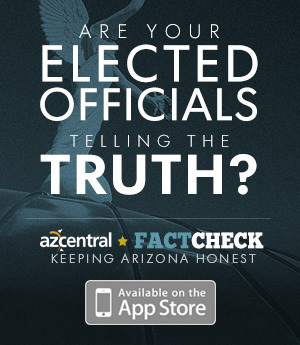 The president of the Arizona Senate has made millions of dollars from his non-profit, using ESA's. It is unacceptable for private citizens to benefit from taxpayer funds at the expense of Arizona students. The decision about Arizona's voucher law should be decided by citizens, not lobbyists and special interest groups who stand to siphon money from education. I believe in strong borders. As a state, Arizona should play a supportive role in helping to secure the border with Mexico. Currently, National Guard troops are assisting Border Patrol through operation Guardian Shield. I am glad to see that the Legislature is taking steps to address concerns about sexual harassment. With the expulsion of Representative Shooter last winter, there is more awareness of sexual harassment in the legislature. The legislature is moving forward with the implementation of a bipartisan panel to create a code of conduct; however, more work needs to be done. Together, we need to address the culture of retaliation and intimidation in the legislature, so all voices can be heard! As a resident of the Northwest Valley, I would like to see money for development projects being spread more equitably throughout the state. Currently, Central Phoenix, Tempe, and Scottsdale seem to receive most of the attention and the benefits. In Legislative District 22, we might be far away from the Capitol, but we are still citizens of Arizona. For far too long, our representatives have not let our voices be heard. The status-quo is working fine for them, but not for the rest of us. We need a new voice, a voice that will demand the political insiders down at the Capitol spread the economic prosperity evenly throughout the state. The biggest threat to Arizona's future is the breakdown in how we talk to each other and how we treat one another. Elected officials don’t talk to members of the opposing party. Representatives don't reach out to their citizens. Is it any wonder that there is voter apathy at election season? I believe we have to start talking to each other again, not talking past each other. But even more crucial, we have to listen to one another. People from other political parties are not the enemy. I refuse to believe that. And I will do everything in my own power to show them that I am not their enemy. We should be partners, working together, so that every Arizonan receives something in return for that we all put into this great state. It shouldn't be winner-take-all. It shouldn’t be win at all costs. We should all win. Together.